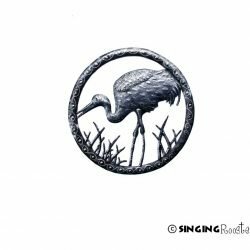 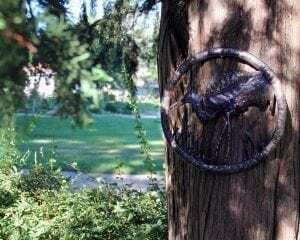 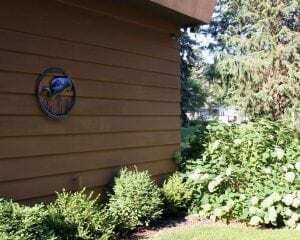 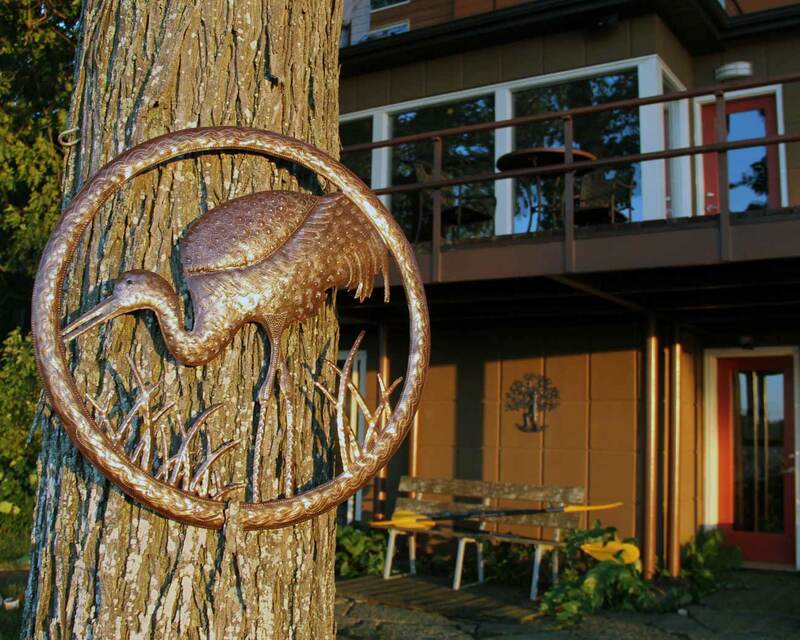 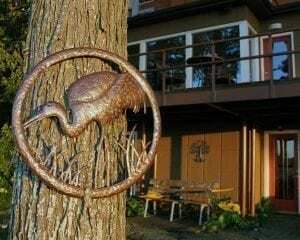 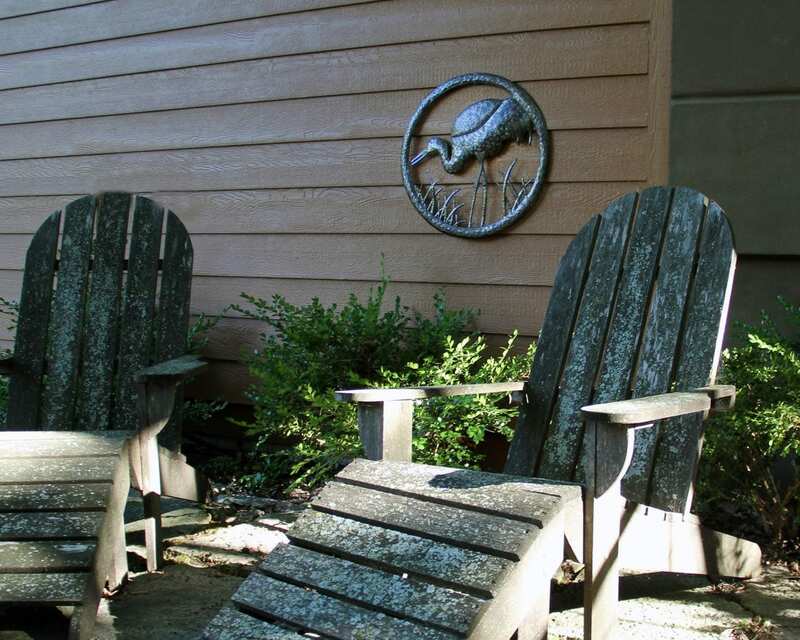 Buy Sandhill crane metal wall art online for your garden or home — 23″ diameter. 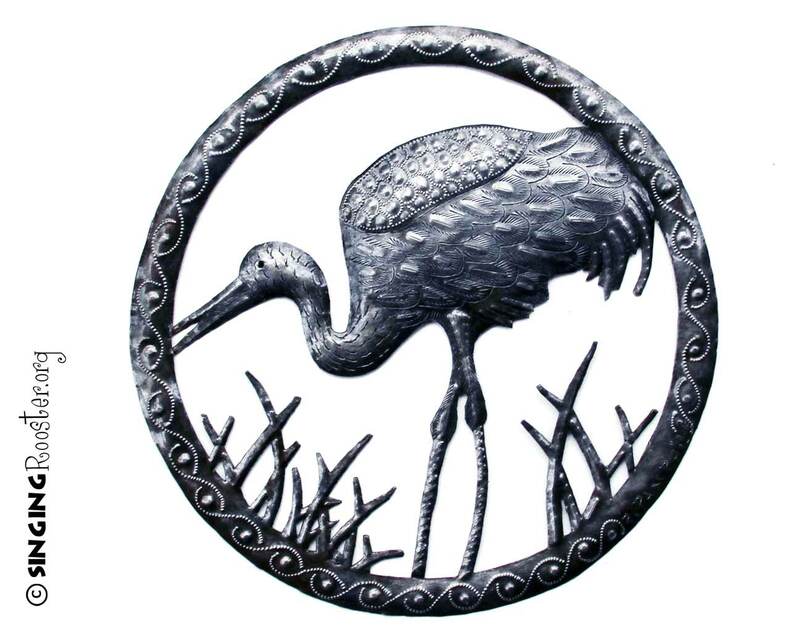 Sandhill cranes are symbols of justice and longevity. 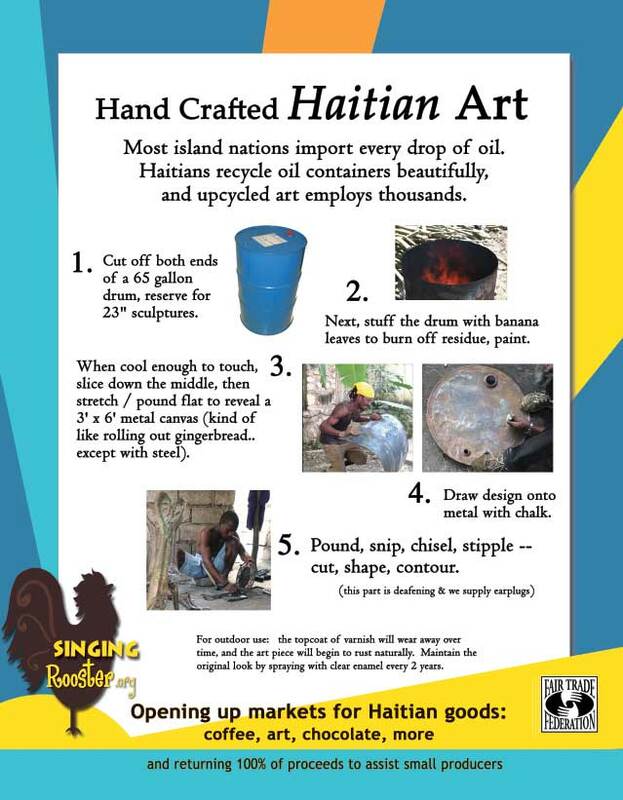 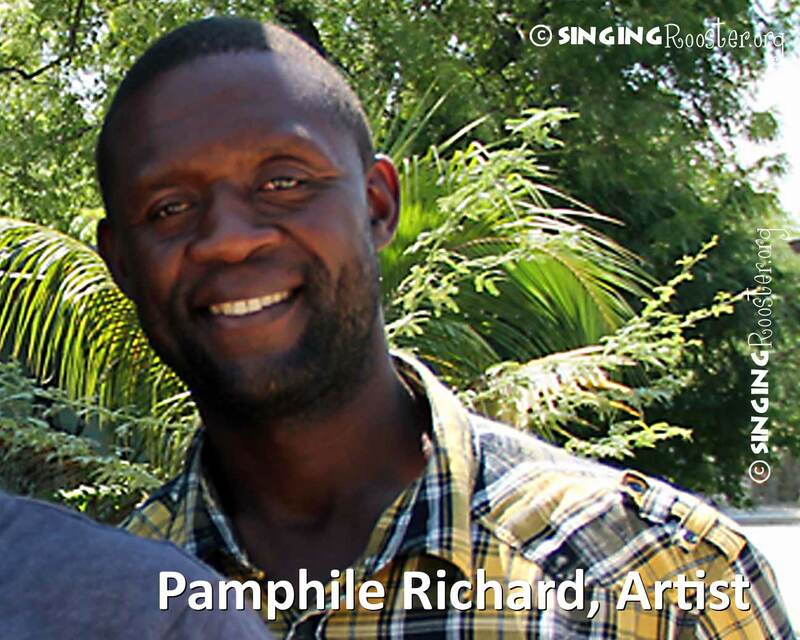 This majestic piece of Haitian art is handmade from upcycled metal in Croix des Bouquet – Haiti’s metal art district.